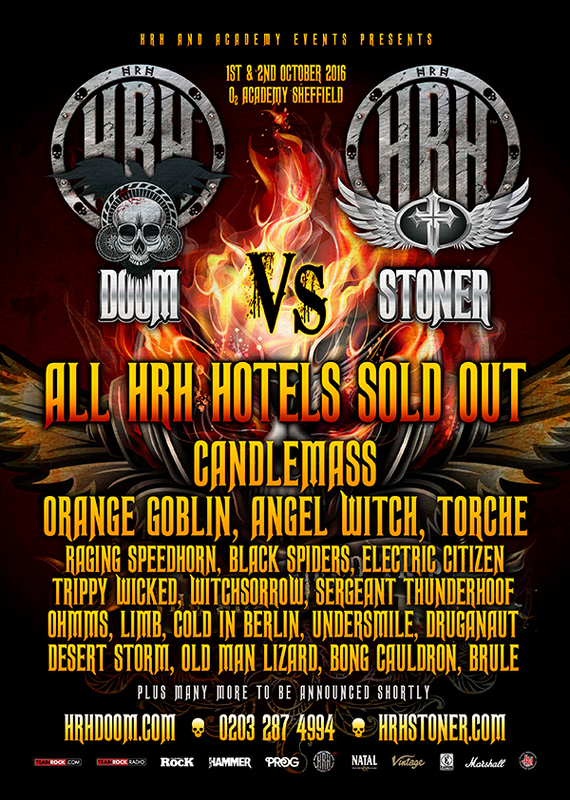 As all of the surrounding hotels nearly sell out for the latest HRH experience, HRH Doom vs HRH Stoner are pleased to add even more bands to an already exciting line up. NWOBHM Dark Lords, Angel Witch, local heroes Black Spiders and a rare appearance by Female fronted, Ohio rockers, Electric Citizen. Other home-grown talent to be added include Trippy Wicked, Undersmile, Old Man Lizard, Bong Cauldron & Brule with another batch to follow shortly. 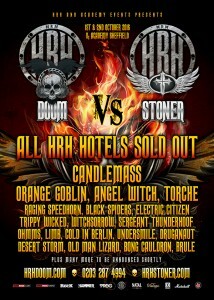 HRH Doom vs HRH Stoner takes place at the O2 Academy Sheffield and is a 2 stage, 2 brand, 2 day event on the 1st & 2nd October 2016.